Last night’s workshop (April 1, 2019) on finding solutions for Stockade flooding was interesting and useful. 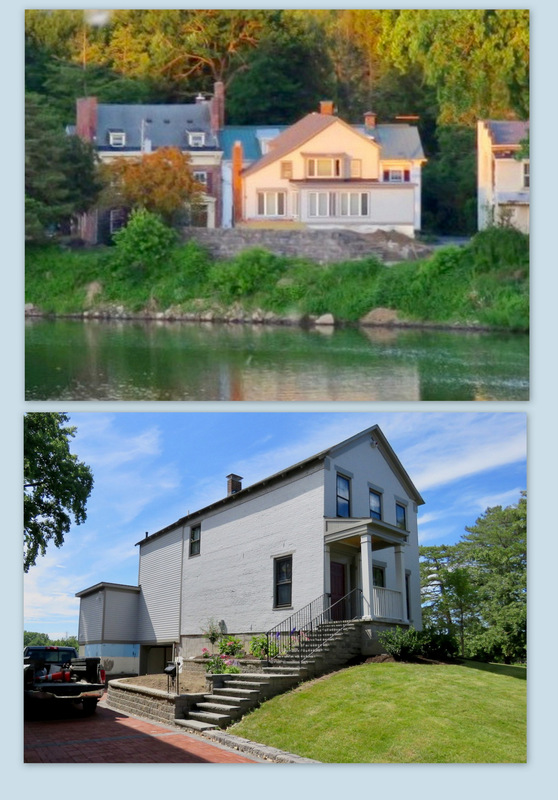 See “Details begin to emerge on flood mitigation solutions for Schenectady’s Stockade” (Daily Gazette, by Pete DeMola, April 2, 2019). The most prominent bit of mitigation in the Stockade to date, of course, is the moving and lifting of 4 Washington Avenue, which sits at the river dead-end of that street. For a photo history of that project, click here. 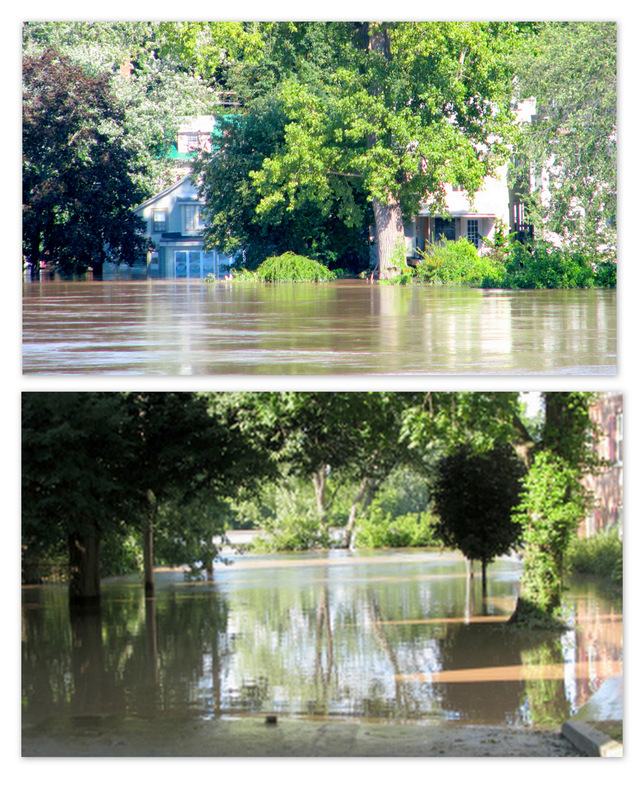 The following are images, river-view and street-view, of the 2010 Irene Flooding at the end of Washington Avenue and . . . . .
. . . . of the rear and front of 4 Washington Ave. in the summer of 2018 . . . .